The attempt by the European Parliament administration to exert pressure on a tweet shocked MEP Younous Omarjeee, who condemned this as an attack on freedom of expression. The European Union’s “rebuttal unit” was at the root of the debate. EURACTIV France reports. “It was an attempt to intimidate!” While the European Parliament has barely resumed its sessions, the France Insoumise MEP Omarjee has already rebelled. 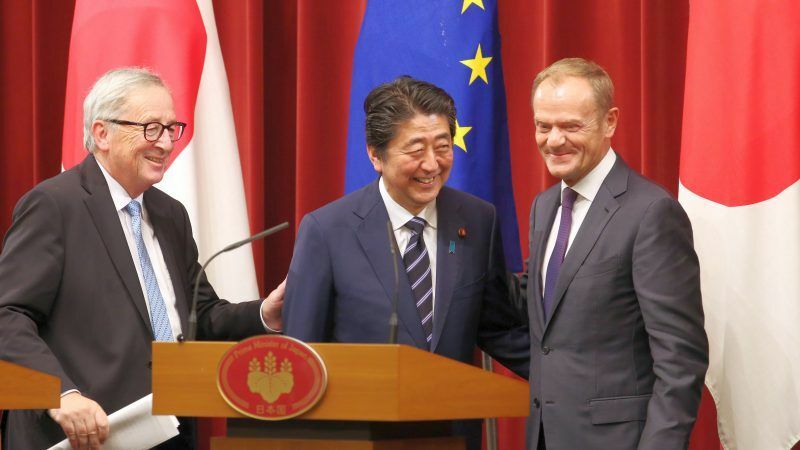 His assistant was sharply admonished by a member of the Directorate-General for Communication about a tweet by the MEP on the trade agreement with Japan, the JEFTA. In late July, the European Commission President Jean-Claude Juncker signed a free trade agreement following long negotiations with Tokyo. During a Commission meeting, the MEP from the radical left condemned the undemocratic nature of this agreement. He particularly highlighted that the European Parliament had not been consulted on the matter. “It’s fake news. And yet we are mandated by the Bureau of the European Parliament to combat fake news,” assured the European civil servant. The use of the term “fake news” is debatable: the treaty stipulates that the Commission signs trade deals under a mandate from the member states and the European Parliament does not participate in this process. They only retrospectively vote on an opinion after the agreement has been signed. “The European Parliament can only say yes or no to an agreement. This is what I’m condemning. I don’t have to explain what I do or don’t say on Twitter. As an MEP, I can speak freely. I should not have to be subject to the administration, it’s an attack on freedom of expression,” the MEP spoke out. The MEP sent an e-mail to the President of the European Parliament, Antonio Tajani, to inform him of his surprise. The MEP has already received the support of the green MEP Phillipe Lamberts. For its part, the European Parliament acknowledged that it had contacted Omarjee’s assistant. “It was considered useful to explain that actually the European Parliament must and will study the proposed treaty and then vote on the issue. The same thing applies to the Council of the European Union and the national parliaments who have to ratify the treaty,” explained the European Parliament’s Directorate-General for Communication. The organisation of the European Parliament, which is already complex, established an additional “rebuttal unit” this year, which was behind this reaction. The unit is generally particularly active on social networks. The incident also shows the limitations of its objective: given that the truth is rarely unequivocal, any attempt to rebut statements perceived to be false will be equated with censorship.